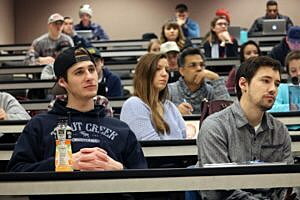 A group of Missoula business owners sat before a class of University of Montana students on Friday to discuss their path through the gauntlet of entrepreneurship, one where they’ve learned to overcome their mistakes and take challenges head on. 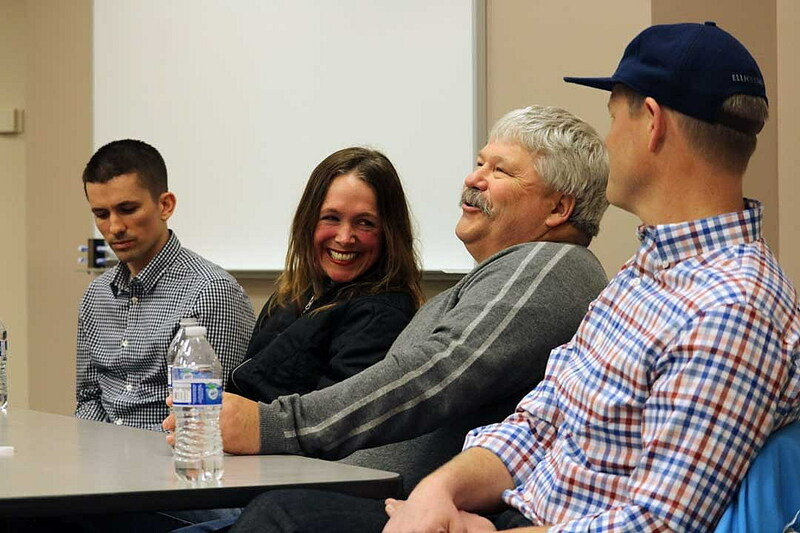 The owners of Betty’s Divine, the Trail Head, the Dram Shop and the software firm Geofli, each elaborated on their personal path toward success and issued morals of knowledge to the class of inspiring entrepreneurs. 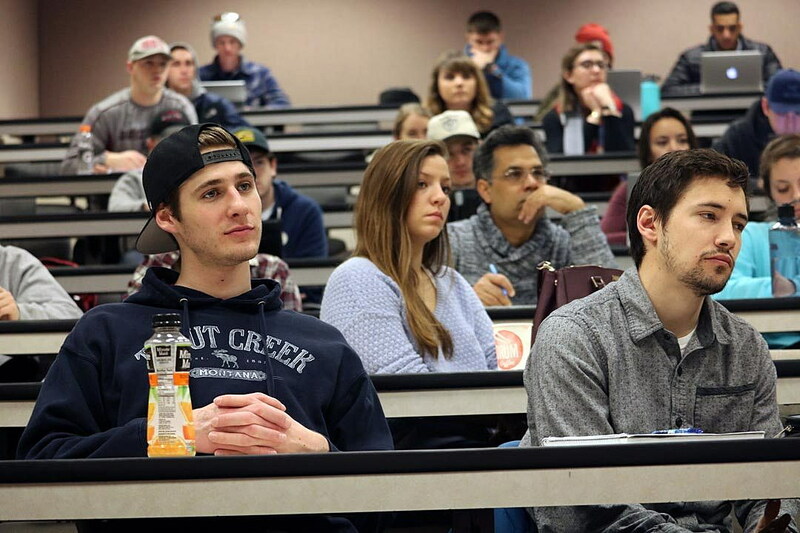 The event was hosted by Estella Anderson, director of career development at UM, and moderated by Paul Gladen, the director of Blackstone LaunchPad and CEO of the Montana Academy of Distinguished Entrepreneurs. Geofli launched in 2015 and won its first paying customer in January 2016. Pucko described the effort as rewarding, though he and co-founder Nick Shontz eased into their endeavor while holding on to their day jobs. Along the way, they set out to improve the digital experience by personalizing websites based upon geographic locations. What interests someone in Montana may be different than someone in New Jersey. Amy McQuilkin, founder of Betty’s Divine, also performed her due diligence, though she approached her own startup from a different angle. The UM psychology graduate opened her shop in 2005 and has been diversifying her product offerings ever since. McQuilkin was 28 at the time she decided to pursue her idea, though she’d been fiddling with the concept for years. She was denied financing by the first bank she approached, though she later found support with the help of the Montana-Idaho CDC. The program helped her vet her idea and write a business plan. Todd Frank, owner of the Trail Head, starting working with the popular Missoula business in 1994 before purchasing it in 2000. At the time, the outdoor retail industry was undergoing what Frank described as a “significant market disruption” with the growth of the Internet. Frank also embarked on a costly renovation of an old downtown warehouse and admitted to knowing little about construction. The process burned up his first line of credit, leaving little money to stock his new store with coats and skis. Frank also encouraged the students to get to know their banker. It’s a piece of advice that comes up often in entrepreneurial discussions around Missoula, and one the four businesses owners take to heart. Every upstart business owner looks bad on paper at the start, Frank said. But that doesn’t mean there isn’t a way. Zack Millar learned similar lessons in launching the Dram Shop with his wife, Sarah. The two opened the tap room and growler filling station in 2015 – an effort Millar said happened out of necessity. He had few other options at the time, though he had ideas and perseverance, both of which have paid off.